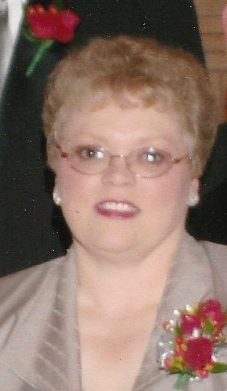 Obituary of Shirley A. Sandell Shirley Ann Sandell, the daughter of Willard "Bill" Kent Boyles and Harriet Lorene (Hatcher) Boyles, was born October 25, 1952 in Concordia, KS and passed away on March 1, 2019 at the Jefferson Community Health and Life, Fairbury, NE at the age of 66 years, 4 months, and 6 days. Shirley grew up in Courtland, KS, attending the local public schools, graduating from Courtland High School in 1970. She then attended Beauty School in Salina, KS. Shirley later worked in beauty shops in Scandia and Belleville, KS. She then began work as an assistant cook at the Pike Valley Elementary School in Courtland, KS. She later became head cook at the Pike Valley High School in Scandia. Shirley was united in marriage to Dan Sandell on May 12, 1973 in Scandia, KS. They were sealed for all eternity at the St. Louis, MO Temple on March 13, 1998. The couple made their home in Courtland, KS, moving to Kearney, NE in 2007 and then in October of 2018 to Daykin, NE. Shirley retired on April 1, 2018. Shirley was a faithful member of Church of Jesus Christ of Latter Day Saints. She was a member and officer in the Kansas Food Service Association Shirley was a Cub Scout Leader in Courtland and Kearney. Shirley like to travel and watch her grandchildren in their activities. Shirley was a loving Daughter, Wife, and Mother. She was preceded in death by her parents, Bill and Harriet Boyles. Shirley is survived by her husband, Dan Sandell of Daykin, NE; Children, Emily (Clair) Hoesing of Falls City, NE; Kenneth (Tessa) Sandell of Clay Center, NE; and Anne (James) Simms of Daykin, NE; 6 grandchildren, Kayden, Brett, Castin, Ashlynn, Tucker, and Riley; one sister, Merrill Lopez of Denver, CO; other relatives and friends. Funeral services will be held at 2:00 PM, Thursday, March 7, 2019 at the Bachelor-Surber Memorial Chapel, Belleville, KS with Mark Schoenrock, Beatrice Branch President, officiating. Interment will be at the Riverview Cemetery, Scandia, KS. Friends may call from One PM until 8 PM on Wednesday, March 6, 2019 at the Bachelor-Surber Funeral Home, Belleville, KS where the family will greet friends from 5 PM until 7 PM on Wednesday. Memorials are suggested to the Shirley Sandell Memorial Fund. Online condolences at www.bachelor-surber.com Bachelor-Surber Funeral Home, Belleville, KS is in charge of the arrangements.